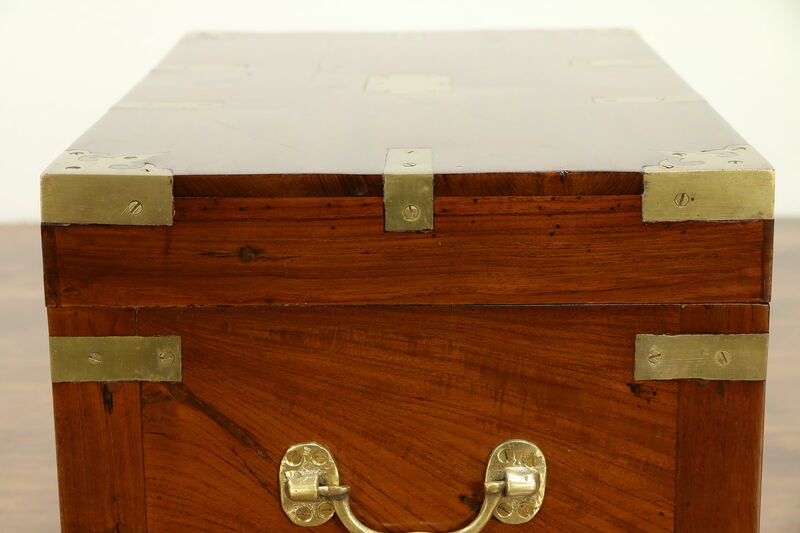 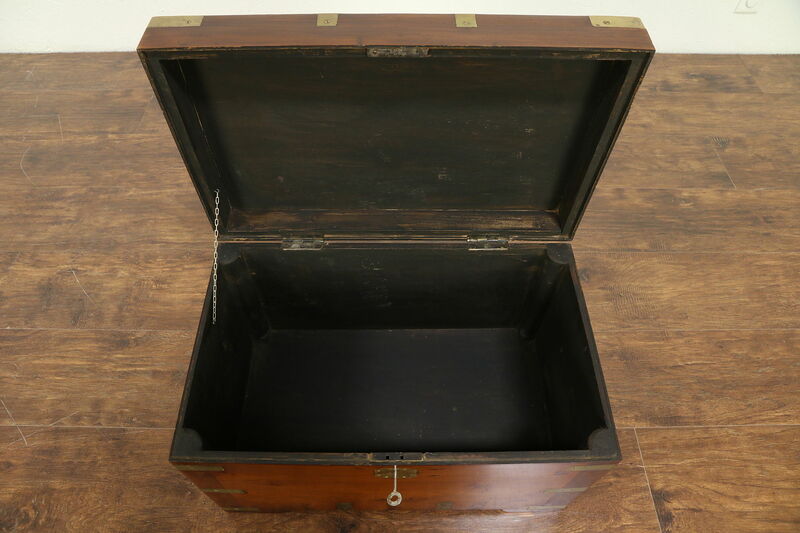 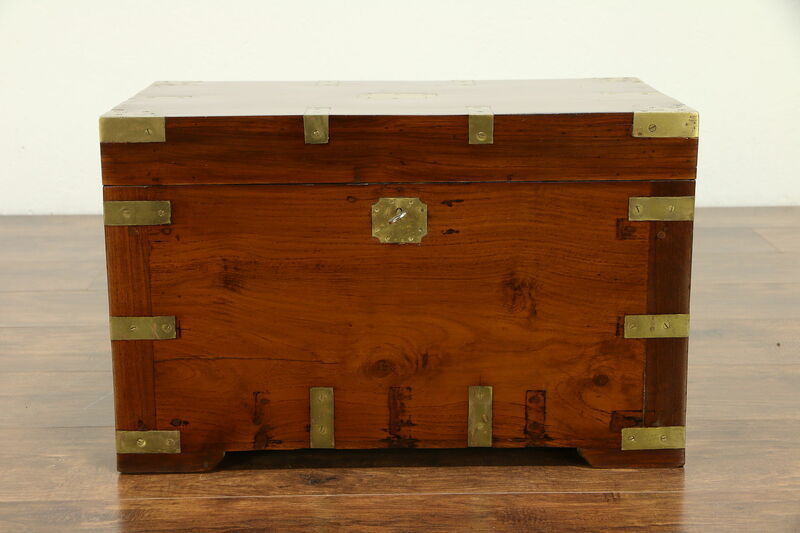 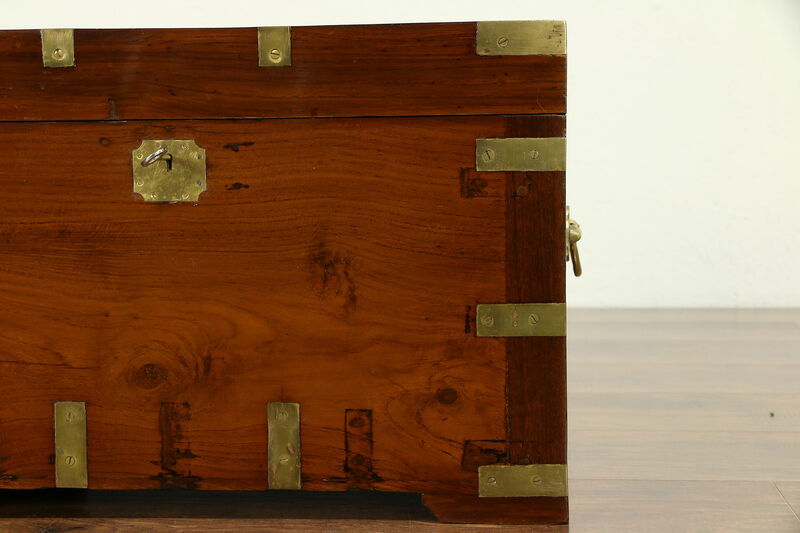 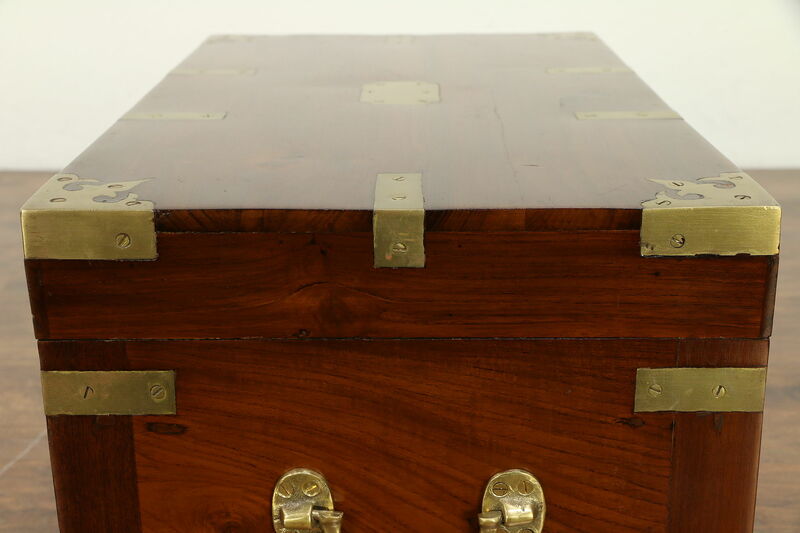 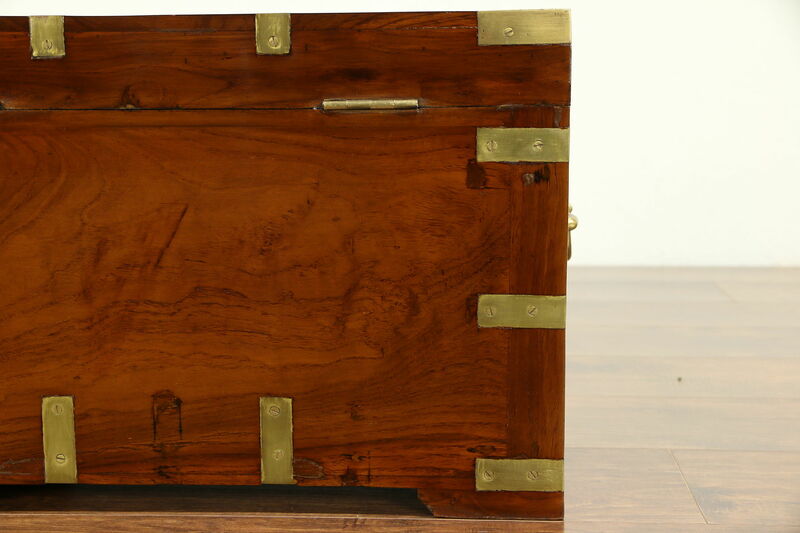 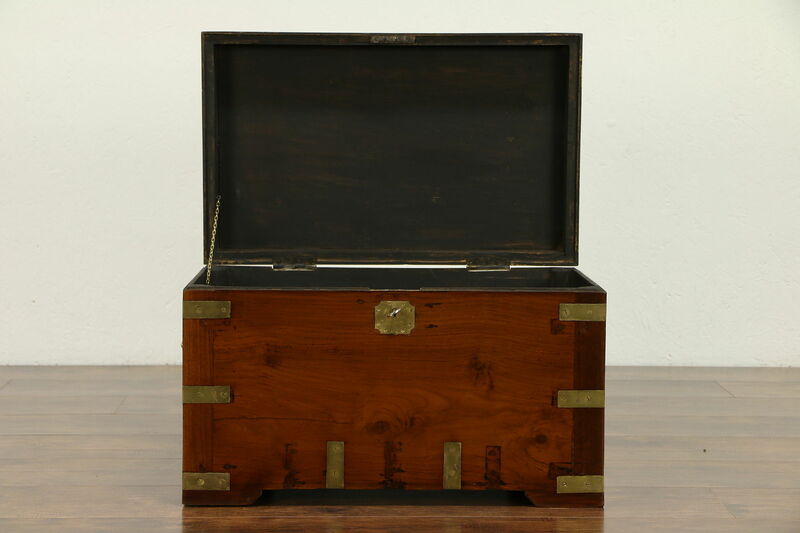 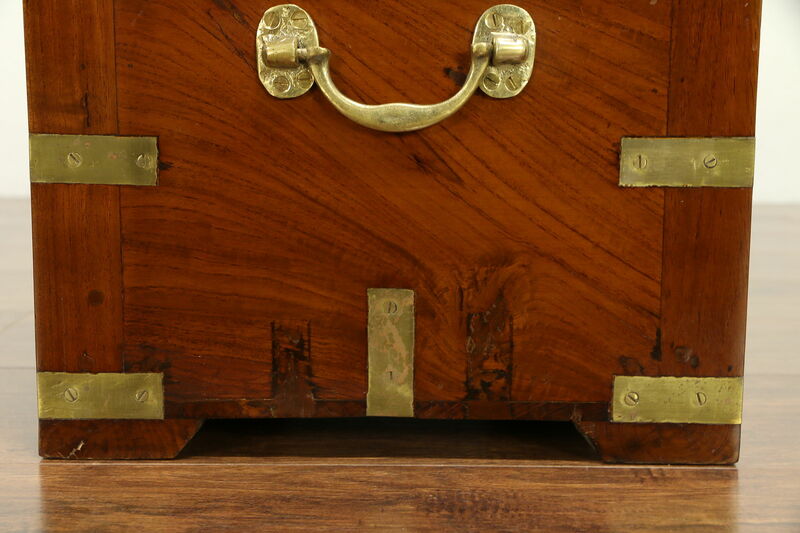 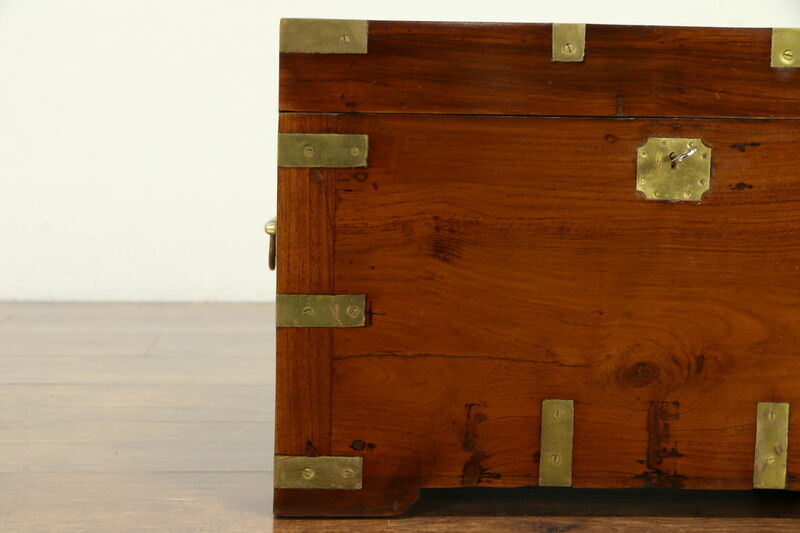 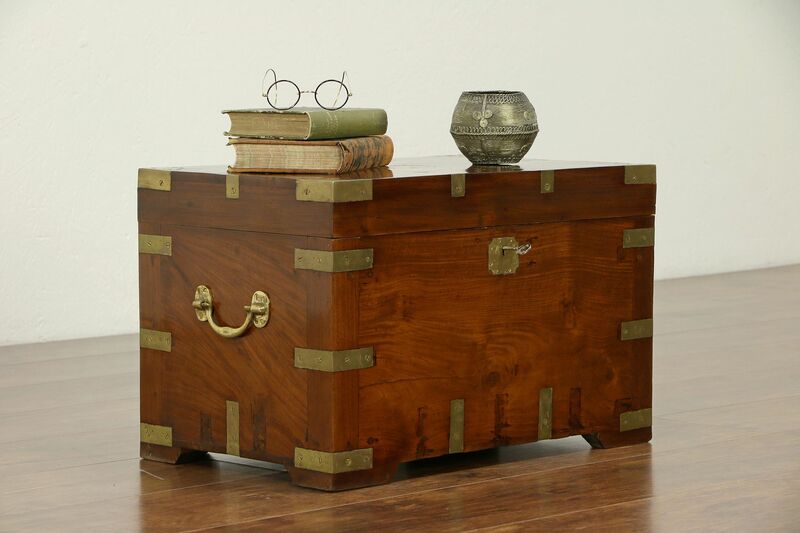 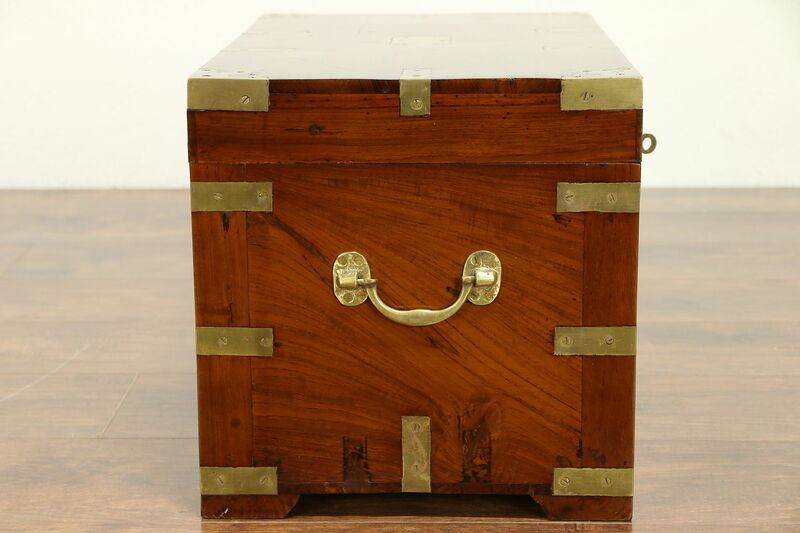 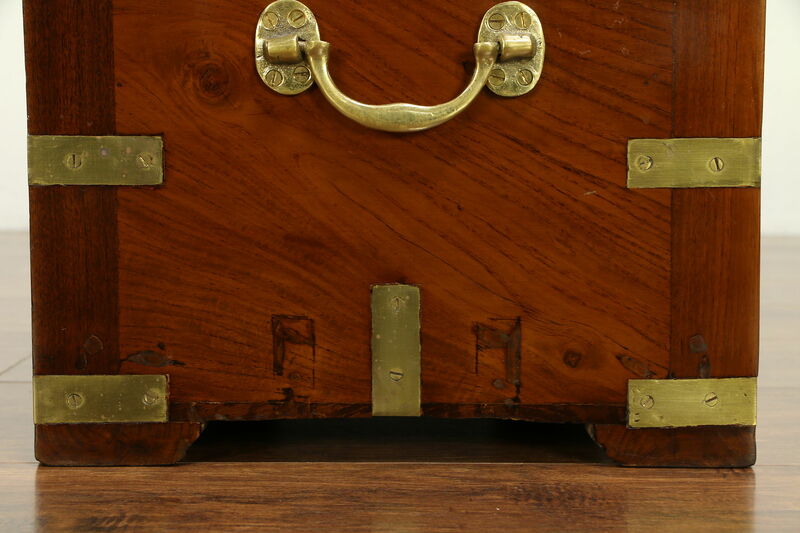 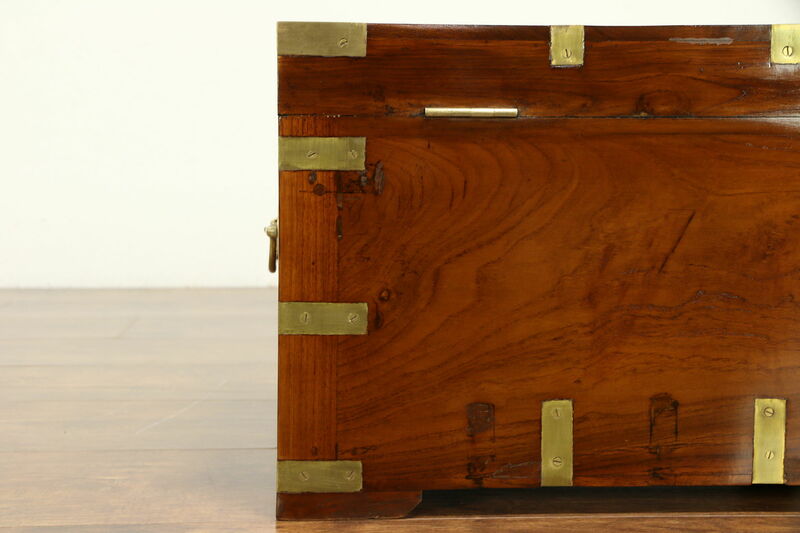 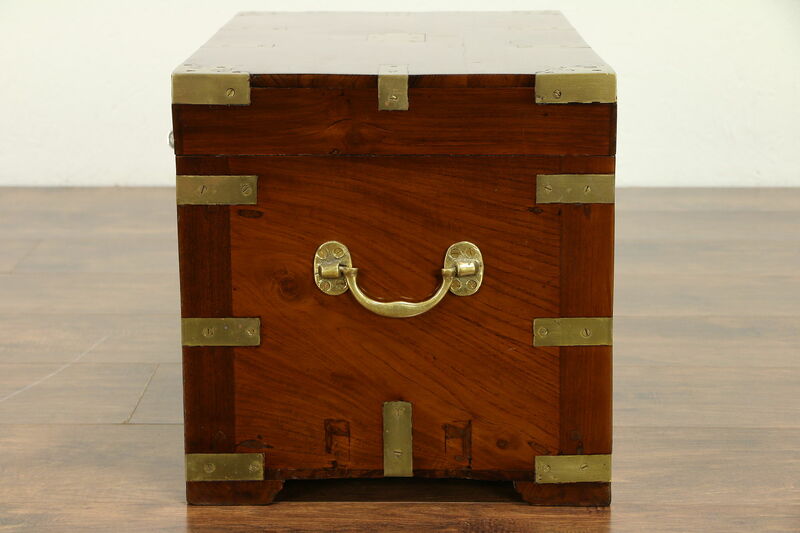 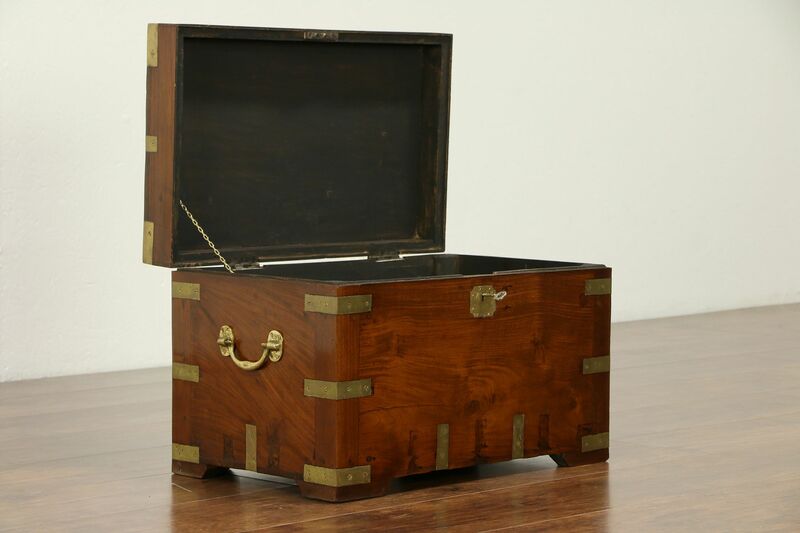 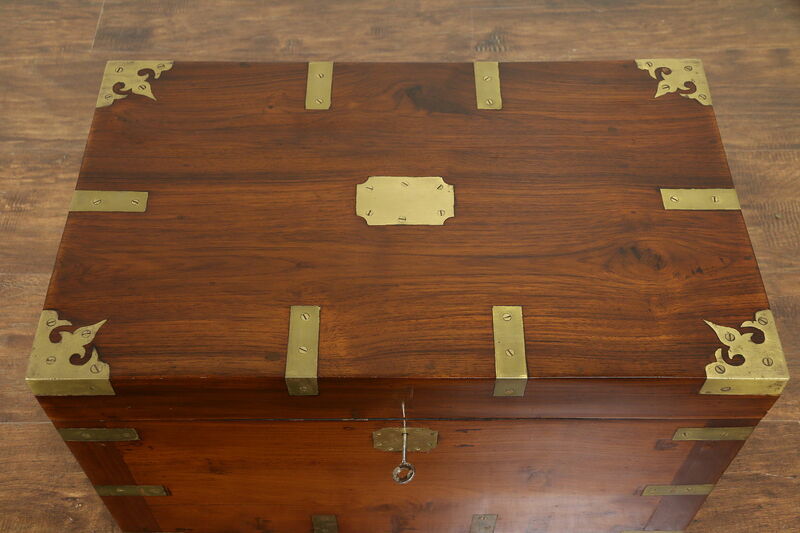 This marvelous little treasure chest or trunk was hand made of genuine rosewood in Thailand about 50 years ago. 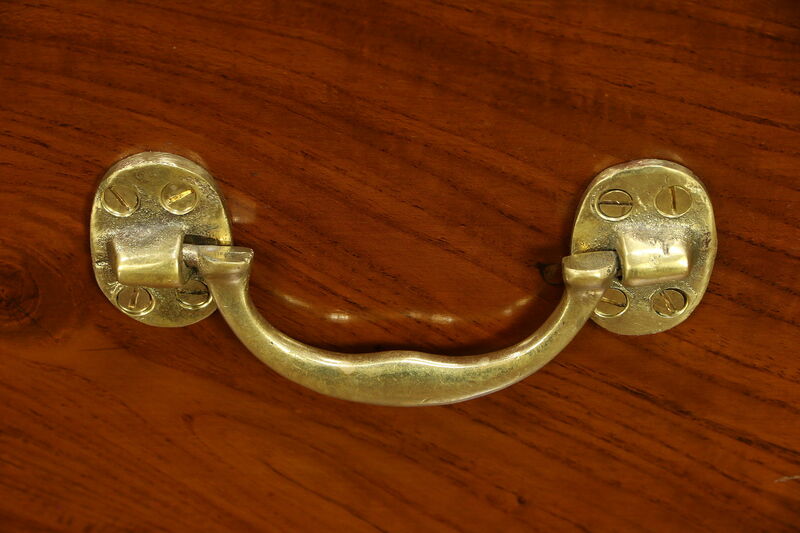 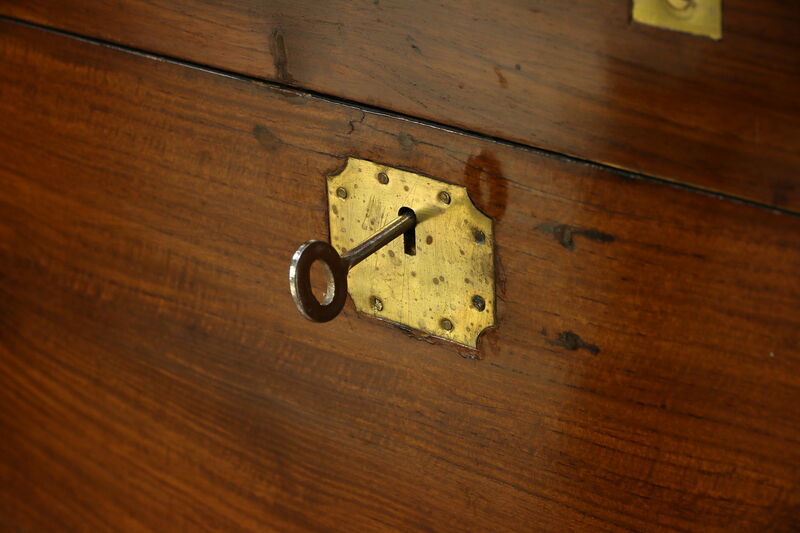 Solid brass mounts, handles and the lock and key are original. 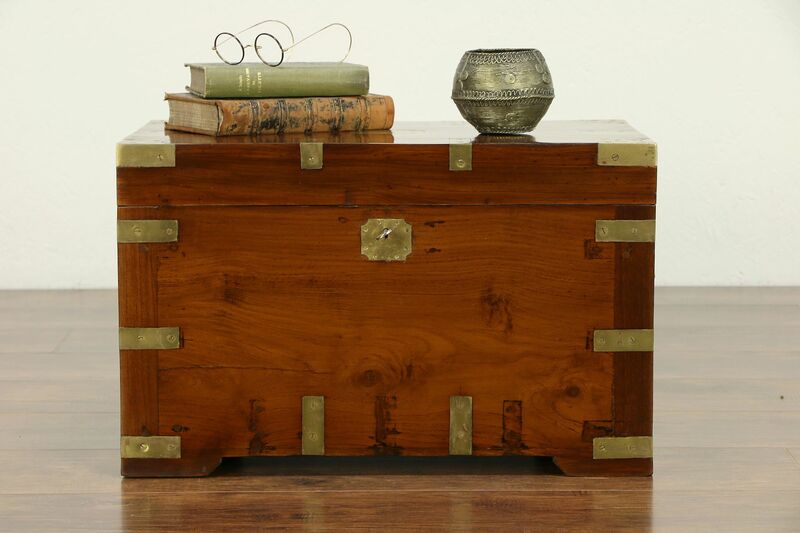 The original finish has warm patina, and has been waxed and buffed, so all that is needed to maintain its luster is an occasional wipe with a soft dry cloth. 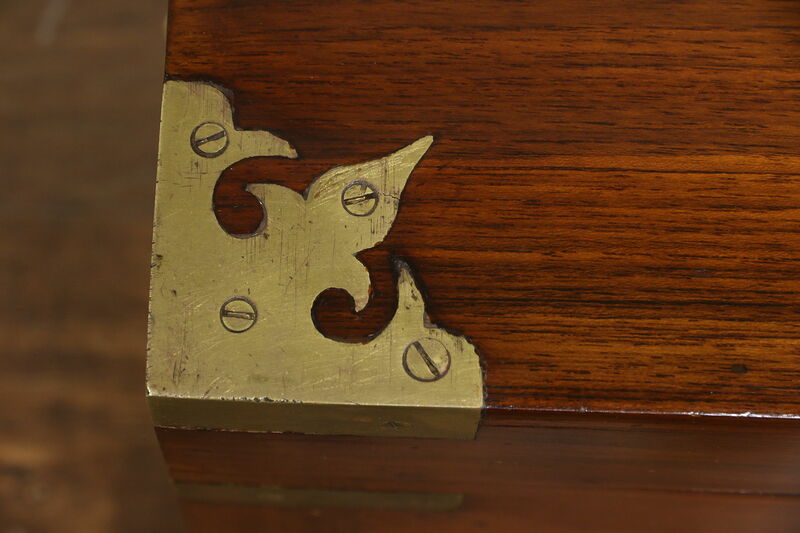 Every surface shows hand planing on this Asian vintage furniture. 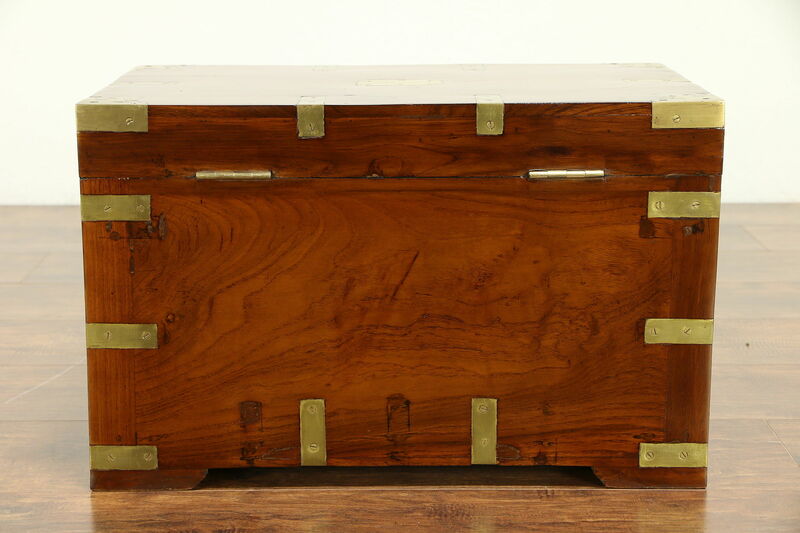 Size is 22" long, 13" deep and 13 1/2" tall.